If you’re following a ketogenic diet, you may have realized that not all sugar substitutes are equal substitutes for sugar. In fact, some sweeteners taste significantly better than others. In addition to that, they all just work a little differently with one sweetener being used in a one to one ratio when converting a recipe from regular sugar and other sweeteners using an eighth of a teaspoon to give the same sweetness as a cup of sugar. They are all so unique! Any keto expert needs to know about each sweetener and how it works. Can you eat honey on keto? How many carbs are in honey anyway? Is sorbitol keto and most importantly, will any of these sweeteners make my blood sugar spike? Well, wonder no more my friends because I am going to go through the six best sugar substitutes on the market today which are all keto friendly. Hopefully this guide will help you decide which is the best no-sugar sweetener for you and save you the time of sorting through them all yourself. Time to jump into the world of sugar substitutes! Stevia is a plant species belonging to the sunflower family and is sometimes referred to as the candy leaf, sweet leaf or sugar leaf. Its flavor profile is very similar to sugar and can be up to 300 times sweeter than sugar itself. This means, when using stevia, it is important to read the packaging and see what level of sweetener you are using. If you have a full strength stevia and are trying to bake cookies with it, you may not want to substitute that one cup of sugar with one cup of stevia- you’ll end up with cookies that are 300 times too sweet! Most stevia packages will let you know the ratio of stevia to sugar if you are converting a recipe. However, since stevia is so strong, it is a good idea to simply look for recipes which use stevia rather than trying to convert an old recipe. Stevia is a natural sugar with a GI index of 0 and has 5 net carbs and 20 calories per 100-gram serving. It comes in liquid, powder or granulated form which makes it extremely versatile. Thanks to the similar flavor profile that stevia has when compared to sugar, it is the go-to sweetener for many sugar-free baking recipes. Pro: Stevia has been known to slightly reduce high blood pressure as well as inhibit the growth of some cancer cells. Currently, there are no known side effects of the Stevia extract which makes it a safe and healthy option. Con: Because of its high level of concentration, adding too much stevia can sometimes result in a bitter aftertaste. Be sure to check the strength of your stevia and add it slowly when mixing it into recipes or foods. Also referred to as Luo Han Guo, monk fruit is a plant species belonging to the gourd family and is native to northern Thailand and southern China. Its flavor profile is very similar to sugar and is up to 300 times more potent than sugar itself. Just as with stevia, you should be wary of adding too much monk fruit sweetener or you will end up with a very saccharine food. It is a natural sugar with a GI index of 0 and contains 0 net carbs and 0 calories per 100-gram serving. It comes in granulated and powder form but many bulk products include additional sweeteners which can bump your net carbs up to 25 and your calorie count up to 100. Look for pure monk fruit or one that is mixed with a sweetener that is also low carb. Pro: Monk fruit can be used to treat coughing spasms and sore throat symptoms and it is a long-standing medicine used in China to treat diabetes and obesity. It helps prevent joint inflammation and is believed by some to be the secret to longevity. The natural sweetness is subtle and goes well in a wide variety of foods. Con: Finding monk fruit in its purest form is difficult and expensive. Because of this cost, monk fruit is often cut with other, sweeteners that are not as beneficial or keto friendly. Read carefully before assuming your Monk Fruit really is one hundred percent low carb. The yacon plant is a species of the daisy family and is native to the northern and central Andes mountains. The sweetener is extracted from the plants tuber and its flavor profile has notes of caramel, raisins, prunes, and figs. When eaten raw, the tuber has flavors of sweet apple. 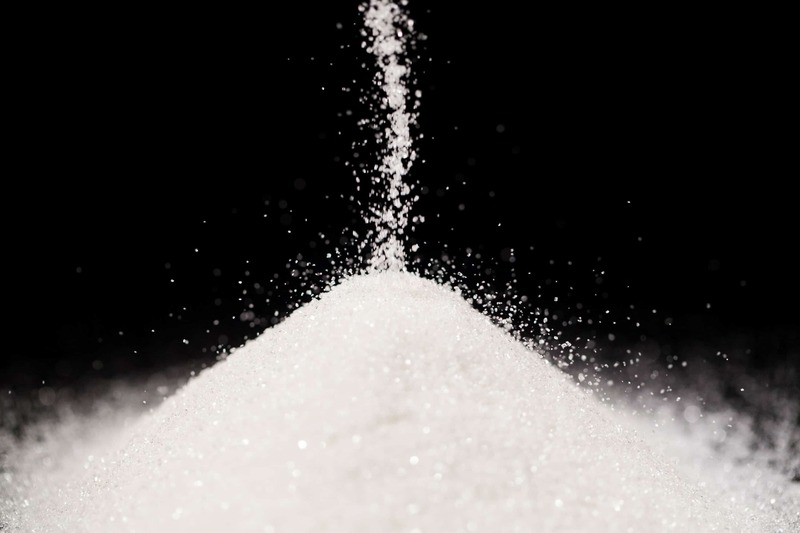 It is a natural sugar, but the GI index is unknown as it has yet to be measured by the University of Sydney, one of the governing bodies of the GI measurement. It contains 22 grams of total carbs and 40 calories per 29.5-gram serving and is available in raw, powder, syrup or pill form. One of the reasons why yacon syrup is great for people on a low carb diet is because it is composed of inulin fiber and a chain of fructose molecules called fructooligosaccharides, or FOS. These molecules allow you to taste the sweetness from the syrup but they don’t allow the sugar to be absorbed into the body. SO while there are carbs in yacon sweeteners, your body will not absorb them and therefore it is considered to be a keto friendly sweetener. Pro: Yacon is high in antioxidants which helps in the prevention of cardiovascular disease and some cancers, and is known to aid in the treatment of diabetes. It is also high in potassium and may lower LDL cholesterol. The taste of yacon is very rich and it makes a great addition to many recipes especially baked goods. Con: Yacon syrup is an expensive product to make and because of this, there are a lot of fake syrups hitting the market. If you notice the calorie content is below 40 calories per two-tablespoon serving, chances are it has been diluted with another substance. Check the label of your yacon to be sure you are getting the real thing and not a different, potentially higher carb sweetener. If taken in very large doses, yacon syrup can lead to upset stomach, loose stools and an increase in blood sugar. Eat it in moderation as you should with any sugar substitute! Tagatose is a naturally occurring sweetener found in some dairy products, fruits, and cacao. When made commercially, lactose is separated into galactose and glucose, and galactose is then converted to tagatose. Because lactose is produced from whey permeate, it is not a suitable sweetener for vegans or those who may have a lactose sensitivity. This is important to note as many are unaware how the sweetener is made and it could cause an allergy flair up. Tagatose flavor profile is very similar to table sugar with a little less sweetness being only 92% as sweet. It has a GI index of 3 with 35 net carbs and 150 calories per 100-gram serving. Tagatose comes in powder and granulated form and has the ability to caramelize like sugar when cooking and baking. It is also used as a texturizer in pastries, baked goods, frozen dairy products and ready-to-eat cereals. It is a very versatile sweetener and is perfect to use when converting recipes from granulated sugar to a lower carb sweetener. Pro: Tagatose contributes to a healthy gut flora and has been known to treat anemia, infertility, obesity, and diabetes. It may also help reduce the risk of heart attack by elevating the levels of HDL cholesterol. It is versatile in cooking and baking and can caramelize like regular granulated sugar. Con: Mild digestive issues if taken in doses above 30 grams per day so limit your daily intake to avoid any problems.. Not suitable for vegans as it is derived from lactose. Erythritol is a naturally occurring sugar alcohol found in fermented foods and some fruits and vegetables. When produced commercially, it is made by adding yeast to glucose extracted from corn and allowing the product to ferment. Natural erythritol is almost impossible to find on the market so be aware that your sweetener is chemically produced. Its flavor profile tastes just like table sugar and is 60-70% as sweet meaning you’ll need a little more if you are trying to get that sugar sweetness. It has a GI index of 0 and has about 5 net carbs and 20 calories per 100-gram serving. Erythritol comes in powder or granulated form and erythritol powder, in particular, is a popular sweetener used in many baking recipes. Swerve is one of the most trusted brands in the baking world because of its measurability being similar to real sugar and its ability to dissolve quickly and completely in liquid. YOu can use this sweetener just as you would use regular sugar which means your favorite cookie recipe can become a low carb cookie very easily! Pro: Erythritol does not promote tooth decay. Because erythritol is absorbed in the body before entering the large intestine it is excreted through the urine causing minimal gastric distress. It is easily used in cooking and baking and has a very neutral, sweet taste. Con: Slight stomach discomfort and nausea can occur if taken in large doses, otherwise there are no known side effects when used regularly meaning this sweetener is considered to be one of the best on the market. Xylitol is a sugar alcohol that is found naturally in some fruits and vegetables. When produced commercially, it is made by extracting a polymer called xylan, from either corncobs or wood harvested from the dicot tree. The polymers are converted into xylose which is then modified into xylitol, and this conversion is what changes sugar into sugar alcohol. Its flavor profile is similar to real sugar and is 1.0 to 1.3 times as sweet. It has a GI index of 13 with 60 net carbs and 240 calories per 100-gram serving. Xylitol comes in granulated form and is a cavity-fighting ingredient in many chewing gums, candies, and mints. It is also found in some toothpaste and oral rinses so you don’t have to ingest xylitol to receive its many benefits. So, in addition to help sweeten your foods, xylitol will help make your teeth stronger and cleaner- the opposite effect of traditional sugar! Pro: May help increase gut flora and is used to promote oral health by preventing cavities, reducing tooth decay and whitening teeth. It may also help prevent osteoporosis. There are many different sweeteners on the market today and some of the most popular ones are also naturally low carb sugars. These natural sweeteners, like stevia and monk fruit, are the sweeteners of choice for many keto fans because they have a Glycemic Index of 0 so they won’t trigger your blood levels to rise quickly, if at all. A slow rise in sugar means the body will only release a small amount of insulin at a time and this slow release is what helps the body to burn fat and keep you feeling full and satisfied after each meal. These are the choices to make if you are planning on sticking to a keto diet! The following sweeteners should be avoided at all costs because no matter how natural it is, sugar is still sugar and will affect your body negatively (while also ruining your keto diet). These sweeteners will always increase your blood sugar levels, diminish your weight loss, and may even knock you out of ketosis. Stay away from: high fructose corn syrup, table sugar, coconut sugar, maple syrup, honey, agave, rice malt syrup, blackstrap molasses, fruit juice and dried fruit. When it comes to choosing the best sugar substitutes, it’s important to take a holistic approach. A sweetener may be an all natural product but can you really consider coconut sugar keto-friendly? When you look at how it affects your body, the answer is no. Sweeteners with a low GI that are low in calorie are always going to be your best if you want to succeed on a low carb or keto diet. The sweeteners you went over here are the perfect ones to start with and always remember, our taste buds are constantly changing and you’ll find the sweeteners you enjoy today, may be too sweet for you tomorrow, so listen to your body, adjust accordingly and enjoy the journey!